FBI's practice of entrapping mentally unstable suspects instead of helping them & alerting the community creates terror, not stops it. 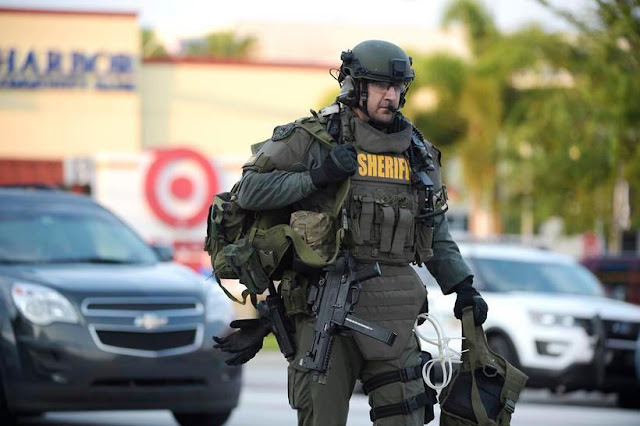 June 15, 2016 (Tony Cartalucci - NEO) - A horrific attack unfolded this week when Omar Mateen entered a nightclub in Orlando, Florida before allegedly opening fire killing 50 and injuring scores more. Mateen would eventually be gunned down himself by police. At face value it appears to be another "extremist" attack - an extension of America's ongoing "War on Terror." In reality Mateen is instead an extension of America's use of terrorism as a geopolitical tool to fight its enemies abroad and maintain paralyzing fear, division, and hysteria at home. However, Southers is wrong. There most certainly is a profile to which each and every high-profile "terrorist" attacking targets across the West from North America to Europe adheres. Each and every suspect has been known to Western law enforcement and intelligence agencies before carrying out their deadly attacks. The Boston bombing suspects were on FBI and CIA watch lists months before their deadly attack in April 2013 according to the US State Department's own Voice of America news service. The Paris attack suspects were known to European security agencies and tracked for years save for the final 6 months before the attacks were finally carried out. Two of the Brussels attackers this year had been arrested for violent crimes including terrorism before being inexplicably released. Considering these most recent examples and many others, it is not a matter of the West being blindsided by terrorism - but rather Western security agencies either incapable or disinterested in stopping militants from carrying out attacks which are then shamelessly and very intentionally exploited for political gain both at home and abroad. What's more alarming is that the recent case in Florida appears to be a textbook case of a US FBI entrapment case gone wrong. Quite literally every aspect of the case, from Mateen's background, to how he gained law enforcement's attention before the attacks, to aspects of his personality including allegations that he was mentally ill, mirrors almost identically two FBI entrapment cases which unfolded last year. Inspired by Islamic State or by the FBI? The list of weapons provided to the mentally-ill suspect by the FBI informant is shocking. Revealed in the official FBI affidavit (.pdf), the weapons included a 9mm Glock 17, a 10mm Glock 20, a .223 Colt AR-15 rifle, (referred to by the media as an "assault rifle"), and a 556 Sig Arms SG550 rifle (also often referred to as an assault rifle). The AR-15 rifle and Glock are the same weapons allegedly used by Omar Mateen in this most recent massacre. Image: FBI entrapment playset. These are a representation of weapons FBI informants literally handed over to a mentally ill suspect they were leading through a planned mass shooting with. The suspect in this 2015 case, would be arrested before finally carrying out the attack. Also included in the affidavit is the same hysterical rhetoric encouraged by FBI informants now evident in the recent actions of terror suspect Omar Mateen in Florida. The FBI quite literally moved Ciccolo from A-Z up to and including placing weapons into his hands before finally arresting him. In Mateen's case, it is alleged that he legally purchased his firearms. 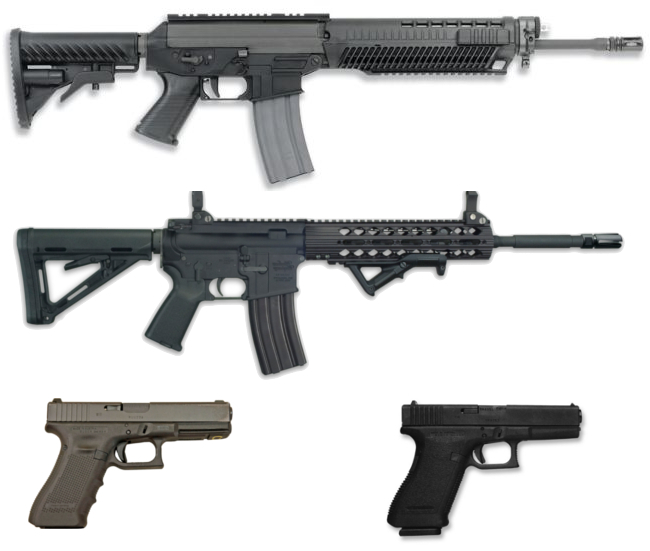 However, another 2015 FBI entrapment case includes a suspect the FBI was similarly cultivating, and instead of providing the suspect with weapons, he was allowed to purchase them on his own - two M-15 5.56 semi-automatic rifles. Upon reading the FBI's own affidavits, it appears the only difference between Ciccolo, Cornell, and Mateen is that the former two were arrested before committing mass murder while Mateen was allowed to carry out his attack. Whether or not FBI informants were handling Mateen before the attack remains a mystery. But it should be noted that the FBI is conducting - according to the New York Times - hundreds of such entrapment cases. ...the Federal Bureau of Investigation was called in after reports from Mr. Mateen’s co-workers that he, the American-born son of Afghan immigrants, had suggested he may have had terrorist ties. The F.B.I. interviewed him twice, but after surveillance, records checks and witness interviews, agents were unable to verify any terrorist links and closed their investigation. Then, in 2014, the F.B.I. 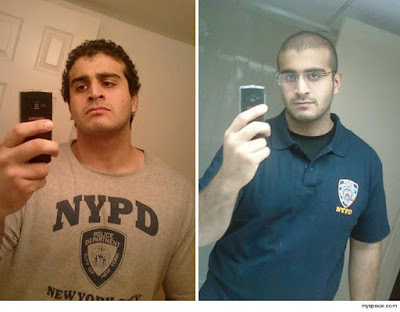 discovered a possible tie between Mr. Mateen and Moner Mohammad Abusalha, who had grown up in nearby Vero Beach and then became the first American suicide bomber in Syria, where he fought with the Nusra Front, a Qaeda-aligned militant group. Again, the F.B.I. closed its inquiry after finding “minimal” contact between the two men. Considering NYT's report regarding the vast scale of the FBI's entrapment cases targeting possible "Islamic State" sympathizers, it seems highly improbable that undercover informants were not also working on Mateen. With hundreds of cases ongoing and with many of the cases involving the transfer of real weapons to suspects who have been encouraged sometimes for months by informants to carry out deadly attacks - could the FBI have lost control of such a case - in Florida perhaps? 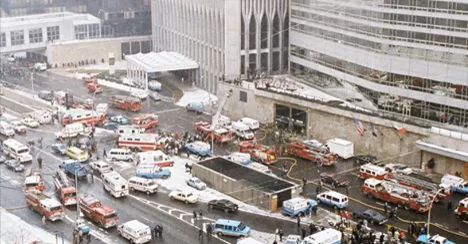 The decision by the FBI supervisor eventually led to the successful detonation of the bomb by terrorists known to the FBI and subject to an undercover investigation. The explosion would kill 6 and injure hundreds more. At the very least there is a strong possibility that the FBI's tactics of entrapping suspects and its practice of peddling toxic rhetoric and even placing actual weapons into the hands of mentally unstable individuals led to the tragedy in Florida just as it did in New York City in 1993. At worst - it was intentionally done as a means of using terrorism domestically to manipulate the American people just as the US uses terrorism abroad to fight its proxy wars. The recent attack in Florida comes at a time when Syria's border with Turkey is now nearly sealed. While alternative media sources have been reporting for years that the Islamic State has been resupplied and reinforced from NATO territory via Turkey, it is now a fact being reported by prominent Western news services as well. The Foreign Minister of Turkey admits that "Islamic State" forces - fighters, weapons, and equipment - are pouring out of Turkey's own territory "bound for Raqqa," but never explains how the most notorious terrorist organization of the 21st century could move enough men and materiel through a NATO-member state to wage an entire war with, without being stopped before reaching Syria. Also not explained is where the "Islamic State" is procuring the weapons that it is moving through Turkey. While the US claims to fight the "Islamic State" as well as pose as a victim of its violence, its NATO partner Turkey is quite literally the source of the terrorist organization's fighting capacity, with US forces permanently stationed in Turkey for decades and Turkey having been a NATO member since the 1950s. 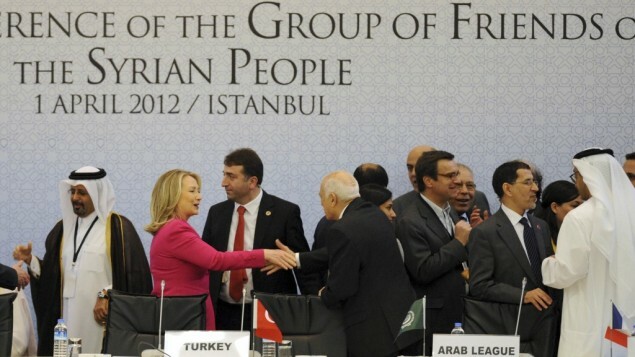 Despite open acknowledgments that the "Islamic State" is operating out of Turkey, the US has used the presence of the terrorist organization inside Syria as a pretext for intervening in the war directly. If Omar Mateen was "inspired" by the "Islamic State," he was inspired by a terrorist organization that at any time the US and its NATO allies could crush - but who have intentionally allowed to operate within NATO territory itself. It seems that both in Syria and at home in America, the special interests running Washington have found in the "Islamic State" a perfect tool with which to advance its various political agendas.